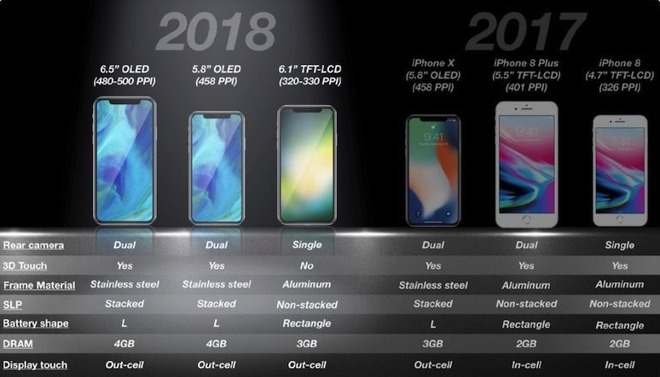 A new report from the Chinese supply chain suggests that Apple is continuing to evaluate multiple sizes for the fall 2018 releases, with the latest claim saying that the the company is evaluating a 5.7-inch and 6-inch LCD device, plus both a 6-inch and 6.4-inch OLED iPhone. 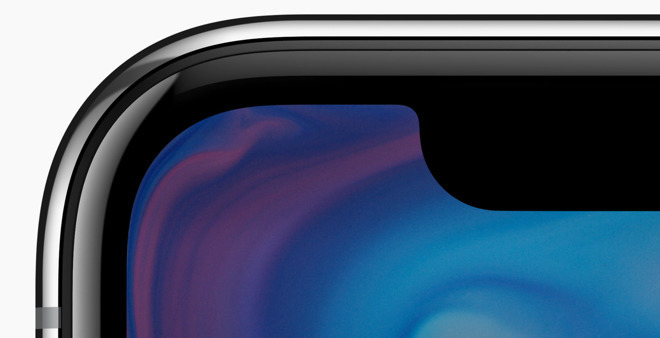 The data gleaned on Friday from the supply chain by DigiTimes' research arm claims that Apple is leaning towards the two LCD devices, and a large-format 6.4-inch OLED one. It isn't clear where DigiTimes sourced their data, and it lies in contrast to multiple reports from KGI Securities Ming-Chi Kuo. Also noted in the latest report is support for wireless charging and "3D sensing functionalities" across the entire line. It isn't clear what the venue is talking about with "3D sensing," be it the TrueDepth camera, 3D Touch, or some other technology. DigiTimes generally has accurate information from individual component manufacturers regarding delivery timetables. However, it has a poor track record on Apple's specific plans —and the veracity of the data from the newly formed DigiTimes Research division is unknown. The venue has given itself an out, should the information prove to be inaccurate. It notes that "Apple has not yet made the final decision so there is still a chance that the vendor may come up with another combination." Other rumors suggest that Apple is looking to produce a 5.8- and 6.5-inch OLED iPhone for the fall of 2018, with a low-cost 6.1-inch LCD model eschewing the dual-lens camera in the iPhone 8 Plus and iPhone X.